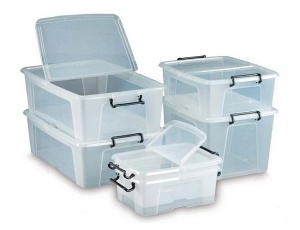 The Storemaster range of plastic boxes are designed with practicality in mind. 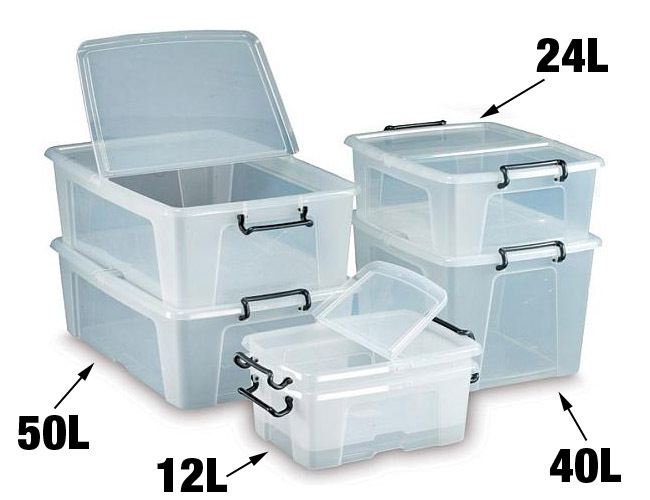 The unique double-hinged lid is secured via central clips that hold it firmly in place whilst the hinged sections are being accessed. Without the need to hold the lid during use, this durable storage container makes an ideal picking bin. Locking clip handles are there to further secure the lid in place, ensuring the contents stay put during transit.